The great Northland sausage heist? 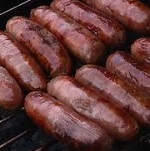 A Far North man who worked with the intellectually disabled was wrongfully dismissed after being accused of stealing sausages from a work Christmas BBQ, but the Employment Relations Authority said the man’s “significant contribution” to the situation meant he was not entitled to any compensation for the wrongdoing. Jack Lemon worked for Idea Services – which provides services for people with intellectual disabilities – as a community support worker at its Moerewa facility until he was sacked in February this year for serious misconduct by taking home a pack of sausages that the company believed belonged to its clients. Mr Lemon took a case for unjustified dismissal to the ERA and in a decision released this week authority member Eleanor Robinson ruled that the sacking was unjustified. “Mr Lemon had been provided with opportunities … to provide responses to the questions from (Idea Services Community Support Manager Karen) Taylor, however he had not responded to a number of the questions put to him, in breach of the good faith requirements in the (Employment Relations) Act, in particular the requirement: “to be active and constructive – responsive and communicative,” Ms Robinson said. During the ERA hearing Mr Lemon said the sausages were given to him by Elisabeth Langstone, the Co-ordinator of MINDS Trust, after a shared BBQ between the two services in Kaitaia on November 21. Mr Lemon said the sausages had been provided for the BBQ by MINDS Trust and Ms Langstone gave him the sausages for his own use and that was subsequently supported by Ms Langstone in writing and at a disciplinary meeting. Ms Taylor said MINDS Trust had given the sausages to the Idea Services users for their Christmas Party on December 18 and Mr Lemon had taken sausages, which were the property of people supported by Idea Services, for his private use. This is considered theft and therefore serious misconduct. Ms Robinson said Ms Langstone had the authority to dispose of the sausages as she wished and while Ms Taylor was entitled to prefer one explanation over another, her decision that Mr Lemon had committed theft had to be based on reasonable grounds.